This week Drake teamed up with 2 Chainz, DJ Khaled hit the studio with Chance The Rapper, and Rick Ross joined forces with Jay Z. 1. 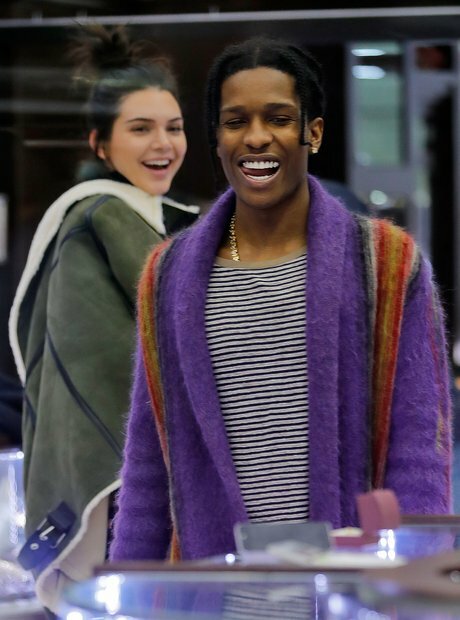 ASAP Rocky was spotted jewellery shopping with pal Kendall Jenner. 2. Kanye West and wife Kim Kardashian were spotted filming scenes for Keeping Up With The Kardashians. 4. Jennifer Lopez won The People's Choice Award for Favorite Crime Drama TV Actress. 6. Kim Kardashian was snapped heading to the set of upcoming movie 'Oceans 8'. 7. And she was joined by her half-sister Kendall, who is also reportedly in the film. 8. Kim Kardashian was spotted in Midtown, New York following her makeup masterclass in Dubai. 10. DJ Khaled was "up to something" in the studio with Mariah Carey and Travis Scott. 11. Drake has been hitting up the studio with 2 Chainz. 12. The 'One Dance' hitmaker also reposted a photo of Sasha Obama wearing an OVO cap. 15. Chance jumped in the booth as Khaled looked on. 16. Kim Kardashian stepped out in Dubai wearing a head-to-toe Yeezy outfit. 18. Kylie Jenner teased a new 'Secret Project' on Instagram. 21. Ciara graced the cover of Cosmopolitan magazine.